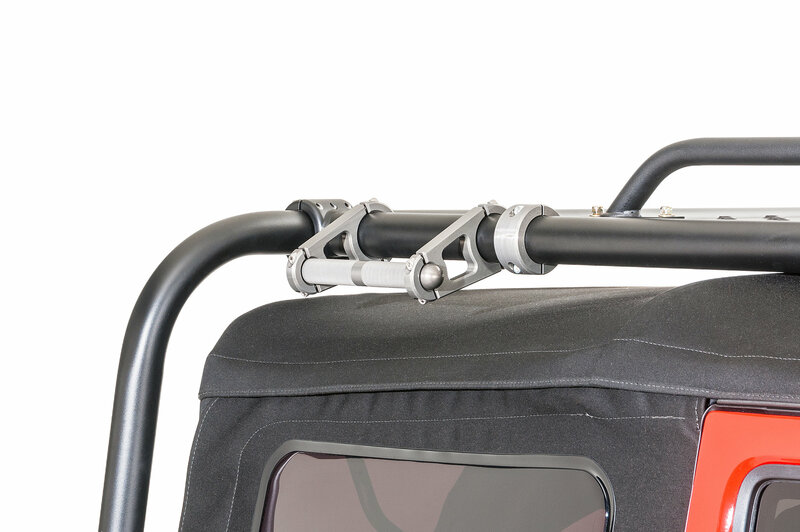 Billet-aluminum grab handles, provide a sturdy grip when accessing your rack. The versatile grab handles can be bolted and positioned in a variety of locations to provide added safety when navigating the Rocker Walk, Hinge Step and Kat Walk. Solid rust-proof grey anodized aluminum. Heavy-duty CNC aluminum construction features machine knurled grip handles. Available for 2 and 1-5/8 dia. applications and sold individually. Comes with a limited lifetime warranty. Machined for 2 inch dia. applications. 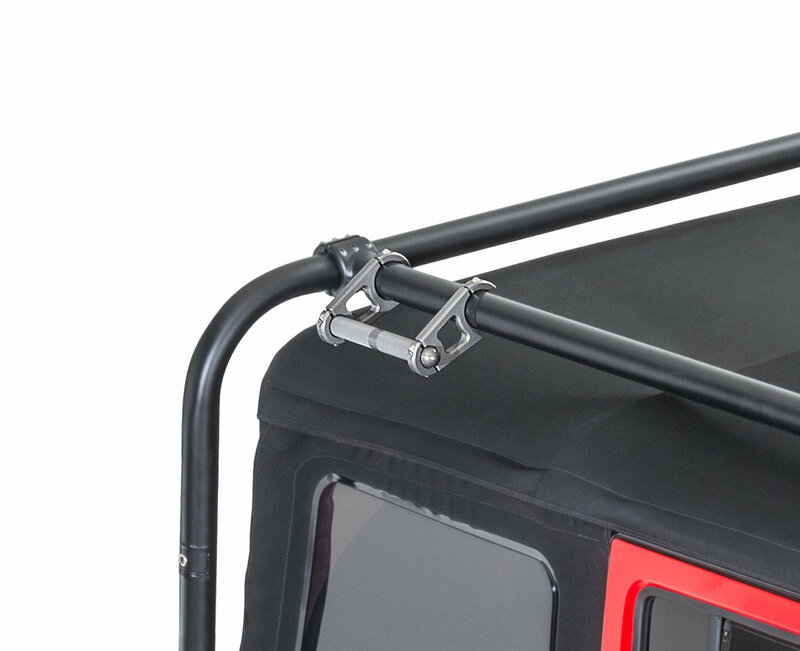 Mount vertically or horizontally on Congo or Congo Pro JK Front Hoop tubing.